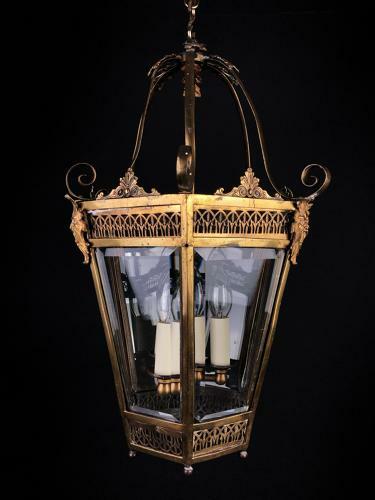 A gilt-brass hexagonal three light lantern, with bevelled edge glass panels. The frame with acanthus decoration and sttires, terminating with a scrolling crown. Early 20th century.